Construction — general contractor, subcontractor or anything in between — is a competitive industry. Not only are you competing with bids, but you’re also competing with your competitors’ marketing and how they present themselves online. Make no mistake: prospective businesses are researching your website before they decide to work with you. The way you position your business (and the content you display) can either build trust and confidence….or break it. 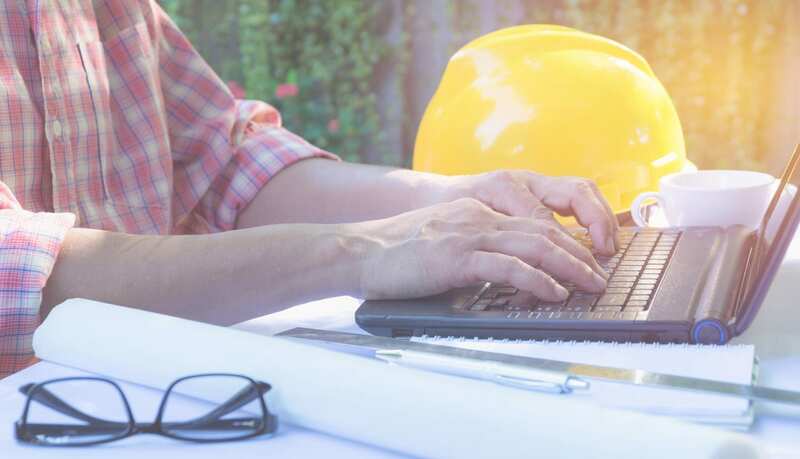 The landscape has changed for construction: websites are now extremely important for building relationships and marketing to the right people. You have to start thinking about your website as “central hub” for your business — a digital storefront where people can read about your company, services, background, and most importantly….contact you! But what’s the one page prospects view to get a better understanding of your background and story? You guessed it — About Us page. Take a quick look on your Google Analytics dashboard (or ask your website guy to do it) and you’ll likely find an interesting trend: your About Us page receives higher traffic than most pages on your website. And if your only content is a bland “mission statement” that promises “high-quality work” with no proof or story to back it up, guess what happens? Prospects leave. They click away and you risk breaking relationships before they even begin! In summary: your About Us page matters. A lot. Especially for a service-based industry like construction. 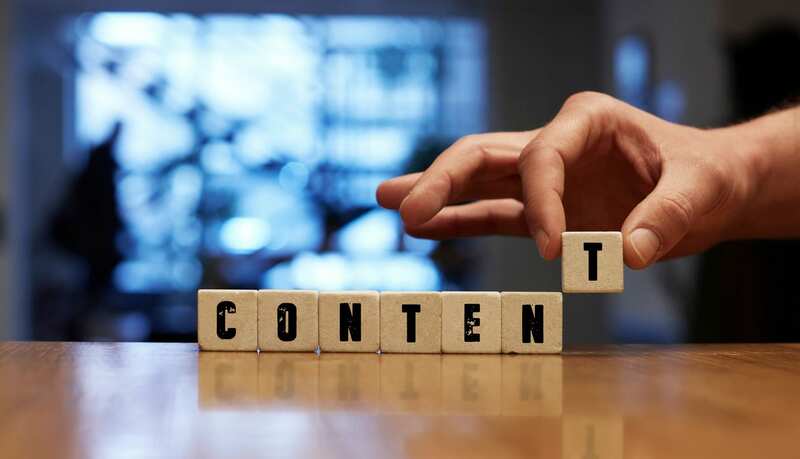 So what kind of content will demonstrate your authority and market to the right people? Read below to find out. About pages are often misunderstood. Most businesses think they’re a place to plug a mission statement or list mini-biographies of executives and employees. No! The truth is that you’re selling your company on this page. It’s the elevator pitch of your website. You must start building relationships and trust right from the get-to. Otherwise, you will force your web visitors to go somewhere else (like your competitors). Before you plan what content to include on your page, ask yourself: Who is the one person I most want to impress with this material? That’s your ideal prospect: the person you want to do business with. Write your content for that one person. Period. “Whoa, whoa, what about all of the other people who visit my website?” You might say. Can you afford to ignore them? Can you afford to confuse your ideal prospect by muddling your content with mixed messages? Probably not. The more specific you get, the better your content persuades your reader. Instead of trying to impress everybody (which always fails), aim to impress one person — your ideal prospect. Decide who that will be. Figure out what exactly he will look for on your About Us page. And then write that content! Marketing jargon bust: your USP is a simple, direct statement that clearly communicates what your business does, whom it serves, why it’s different than competitors, and how that difference directly benefits your reader (or ideal prospect). Now combine those into a simple, one to two sentence statement and you’ll have a working USP to capture the attention and position your business effectively. Where’s Waldo is a fun game to play with your kids (heck, it might even help you develop better cognitive skills). But in the business world, you don’t want to be Waldo — you don’t want to make it difficult for prospects to discover what makes your company different from the rest. What are your differences? What can you honestly say about your construction business that competitors cannot? Or, what can you say better than they can (with proof)? What successful jobs have you completed in a specific niche? What awards, certifications or honors does your company hold? How do you approach construction projects differently than others? What specialties or services do you offer? Dig deep and look at the differences. Then communicate them on the page and demonstrate why they matter. Every great About page has a story. Readers want to know how it all started, what’s kept it going and who are the people behind it. Most businesses try to accomplish that by writing a very bland and vanilla “mission statement.” They only include information — the facts of how the company began — rather than a unique story. But real, engaging stories have an arc to them. There are people involved. There are obstacles to overcome and triumphs to be made. Tell the real story — be honest. Finally, share your company’s philosophy. What does it stand for? What are its values? 5.) Know where you want your reader to go next — and send them there! Do you want to know the biggest mistake businesses make with About pages? Once the reader is done, they don’t get any direction on what to do next. Keep their attention. Keep them engaged! But how do you do that? Decide what you want readers to do after they read your About Us content. What is the one thing you’d want them to do? At the bottom of the page, create a “call to action” make it easy for the reader to take the next step. Provide a link to the page, plus a short description of what they can expect by moving forward. You now have a basic understanding of About Us pages, so let’s talk about what businesses — general contractors, subcontractors or anything in between — can do to spice up their content. As you may have guessed, we’re really into websites at Interactive Palette. So most of our tips revolve around usability and design — that is, keeping people engaged on the page. Did you know that internet users in the United States spend more time on their phones than desktop computers? 2016 was the first year that mobile trumped desktop, and the gap keeps widening every year. In fact, it’s likely that over sixty percent of your website visitors use mobile devices right now. Here’s the big question: do you have a mobile-responsive website? It doesn’t matter how great your content is — nobody will spend time there if they can’t easily read the page on a mobile device. They will leave and go somewhere else. 2.) Would you fill your home with photos of happy-looking people or your actual family? I hope the answer is obvious here. Why businesses still fill their websites with stock photos is beyond comprehension. Everyone can tell; you’re not fooling anybody. Strive for authenticity (especially on your About, Company or Our Story pages). Hire a photographer to take shots. Ask your laborers to take photos on the job. The point is — get actual pictures and leverage them on your site. Forget the part-time model dressed up in a flannel shirt and hard hat, looking approvingly at blueprints he doesn’t know how to read. That’s clearly fake. Fake is noticeable. Be yourself and showcase the real people in your business. Case studies, impressive photographs, examples of successful projects, testimonials from previous clients — all of these “proof points” add to your persuasive argument. Leverage them. Do you have great reviews on third-party listings? Do you have certifications from the Better Business Bureau? All of these can (and should) be added to your content. Anticipate what your ideal prospects are looking for, and exceed those expectations with verifiable proof. Questions? Shoot me an email at kmcnally@interactivepalette.com. Or you can check out our portfolio of construction websites for more examples.